This week, a native son of Terre Haute is honored for his musical contribution to Indiana, and a fish takes children on a tour of Bloomington in a new book. 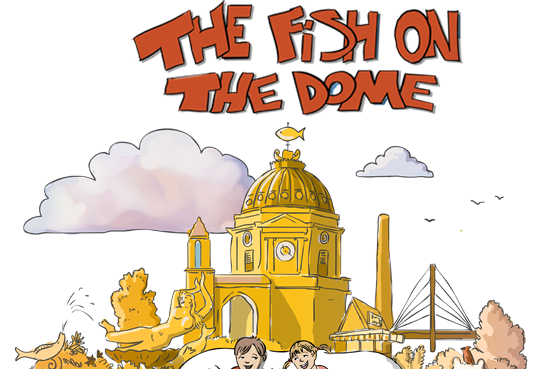 Detail from the cover of the book "The Fish on the Dome." Chris Shaw, author of the new picture book for kids The Fish On The Dome. Along with illustrator Avi Katz, he speaks about how fun it was to create a virtual tour of some of Bloomington’s iconic spots. Also on the program, a conversation with conductor Charles Latshaw as he ends his time as Artistic Director of the Bloomington Symphony Orchestra. And Terre Haute pays homage to one of its native sons, Paul Dresser, the author of the Indiana state song, On the Banks of the Wabash, Far Away. 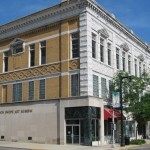 In Terre Haute, Dresser's family works with ArtSpaces to raise funds for a sculpture to honor the author of Indiana's state song.